Good old Jan Stepek, the Lanarkshire electricals king (and Hamilton Accies man). I remember the adverts, but I don't recall ever seeing a Glenns, Hutchison or Robertson shop. Was it a regional consortium, with one retailer to each area? Josef wrote: Good old Jan Stepek, the Lanarkshire electricals king (and Hamilton Accies man). 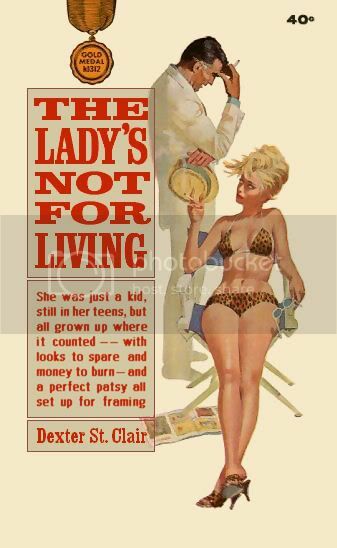 I don't think it was much more than an arrangement to share the cost of advertising. Each shop was individually branded and, I imagine, all shops shared a common pricing policy in as far as price fixing legislation would allow. Google suggests Elaine C Smith did the voice over for a commercial in 1998. There is still a Glens in Byres road as far as i am aware unless it went recently. Also there was a Robertson's in Dumbarton Road in Partick too but I think that may be gone now. Funnily enough I have never seen a Stepek. There is Stepek Travel to is this connected? I think Stepeks were mostly out in Lanarkshire -Motherwell, Hamilton, Bellshill although I've a notion there was one on Stonelaw Rd, Burnside. They were small to medium sized independent businesses that operated separately but bought goods in bulk as a consortium to reduce costs. They were commonly known as 'The Group of 4'. Each had a number of shops in various locations and all had at least 1 shop in Glasgow. 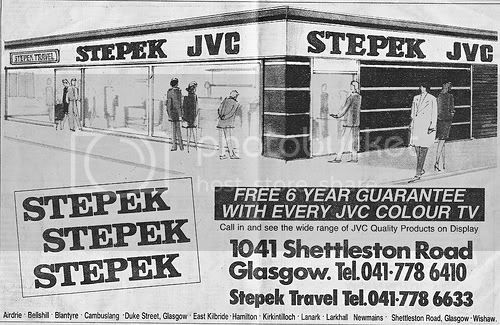 Stepeks had shops in Hamilton and surrounding areas and was headed by John Stepek. Glens were based in Port Glasgow and run by Jim Friel. Hutchiesons were Glasgow based and headed by Tom Hutchieson. Robertsons head office was in Paisley and owned by Conn Conohan. They traded successfully throughout the 80's and early 90's but each company had its own business strategy which eventually led to the group going their own way. That'll be a slightly-qualified 'yes' then. Verbal Kint wrote: Wow - Enough feedback to almost warrant it's own thread. There is Stepek Travel to is this connected? crazy i know, but it's true! Verbal Kint wrote: Also there was a Robertson's in Dumbarton Road in Partick too but I think that may be gone now. It's a charity shop now, selling furniture. It's along from Boots. and a branch in Crow Road Jordanhill. Does anyone know the fate of the above Stepek was the building torn down or redeveloped?